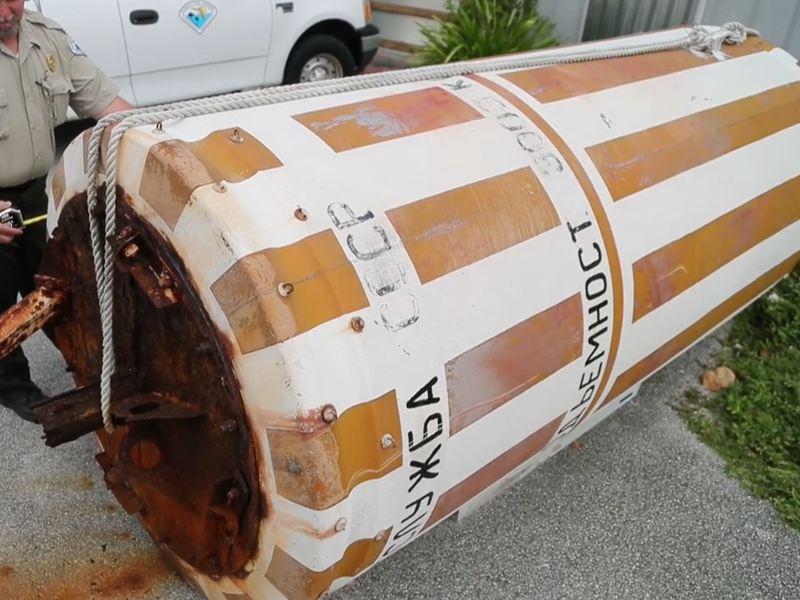 A giant metal buoy marked as property of the Soviet Union has washed up on a beach in Florida in the wake of Hurricane Irma. The device was discovered by state parks workers near Fort Lauderdale, according to the Orlando Sentinel newspaper. Employees of the Dr. Von D. Mizell-Eula Johnson State Park found the buoy, which weighs around half a tonne, a few days after the hurricane passed over the state. According to Russian markings on the rusting device, it was part of a hydrological monitoring programme run by the defunct communist state. It reads Гидрометслужба СССР, which translates to "hydrometeorological service of the USSR," and suggests it has a role monitoring ocean activity. A Florida state parks worker examines the Soviet device. Makes you wonder what other long lost Soviet devices are out there? I have to wonder how many undocumented satellites are still chilling in orbit. The Soviets have intruded on our territory! Alternate History: What if Stalin Never Came to Power? What If Trotsky Did?